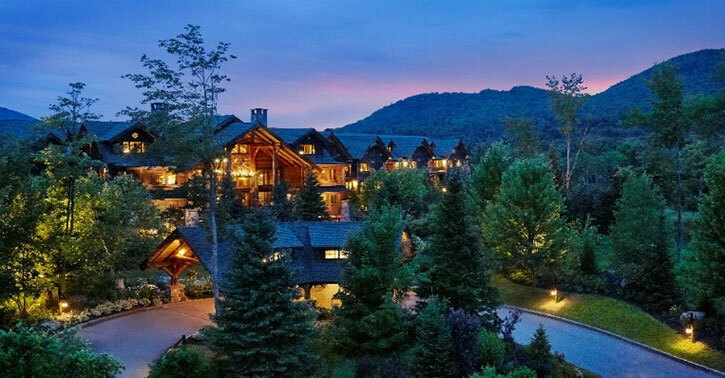 The results are in for Condé Nast’s 30th annual Readers’ Choice Awards and the Adirondacks dominated in “Top Resorts in New York State and The Mid-Atlantic”. Over 300,000 readers rated their favorite cities, hotels, and resorts from over 30,000 listings in the online survey. Four Adirondack resorts made the top ten, with three separated only by tenths of a point. Lake Placid Lodge came in at #2, with a score of 96.94, just two-tenths of a point behind the top spot which went to the Inn at Perry Cabin by Belmond in Maryland. Whiteface Lodge earned the #3 spot with a score of 96.67, followed by Mirror Lake Inn Resort & Spa at #4 with a score of 96.23. The Sagamore Resort rounded out the Top 10 with a score of 91.73. It’s evident why the Adirondacks continue to be a popular destination for rest and relaxation. Adirondack towns were built up as relaxing retreats from the hustle and bustle of big cities. The stunning landscapes are celebrated for their serene qualities and have been the subject of artworks and literature for generations. When the Winter Olympics came to Lake Placid in 1932 and 1980, the Adirondack Park gained international recognition for premier skiing and other snowsports.